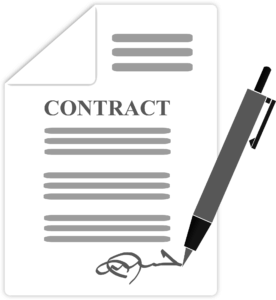 At the heart of any document signature solution is the digital certificates used for signing. If these cannot be absolutely trusted, then all other facets of the solution fall apart. Mainstream document signature solution like DocuSign® provide little to no verification of the signer’s identity. While quick and convenient, the document signatures quickly fall apart if placed under strict scrutiny. To provide a truly iron-clad digital signature that provides legally binding signatures, you need thorough and professional verification of the signers. Uniksign is a professional Registration Authority. It only issues signing certificates to individuals after thoroughly verifying their identity. After a vigorous, in-person identity verification process, the certification authority UnikSign issues verified users with a digital certificate protected by both individual password and PIN. Security is our top priority. Only a lawyer, or certified notary already registered with UnikSign and authenticated by his own regulatory body, can act as a “Registration Authority” and ascertain in person the identity of an applicant on behalf of UnikSign. A document with a Uniksign digital signature certificate is admissible in a court of law, and respects the AELFIT e-commerce legislation and other digital laws and standards. The signatures are clearly visible in PDF documents, and digital signature certificates can be viewed and verified in any PDF-viewing software.